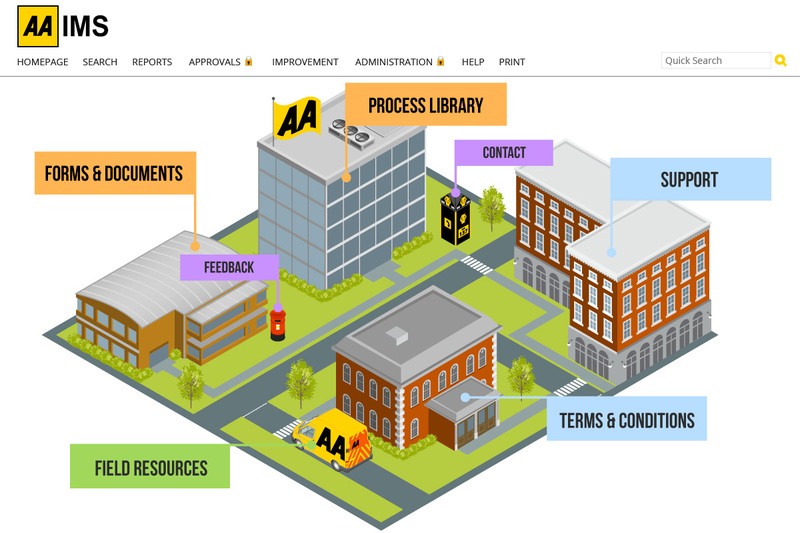 The AA have designed their Process Library complete with an AA patrol van! 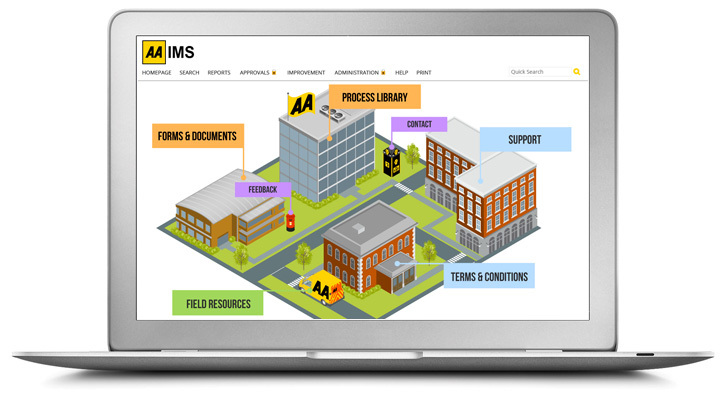 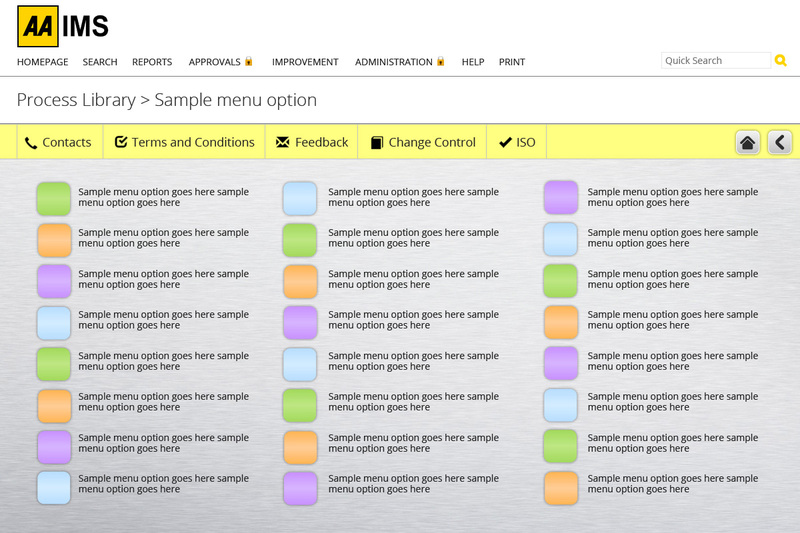 The homepage gives the end-user access to not only the processes forming their integrated management system (IMS) but also instant access to forms & documents, feedback, other resources. 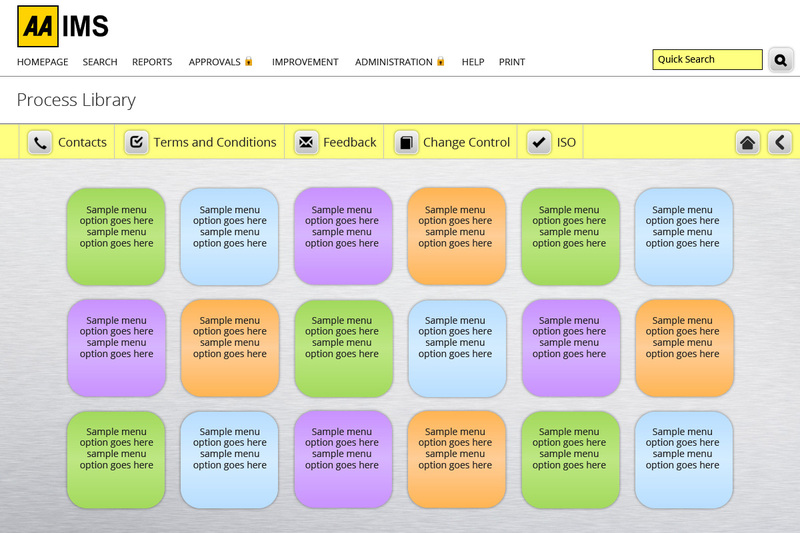 The sub-levels also offer a tool bar linking the end-user to other resources.